The leisurely pace of the weekend doesn’t mean that food has to be more elaborate, but you can invest some time into the kind of dishes that reward with flavour. Here are some suggestions for making weekend menus relaxing and comfortable, the kind of food that says it’s good to be home. A dish that rewards patience. You need a lot of time to make this, but minimal effort. Plan ahead and you’ll have a glorious weekend feast. Slow-cooked until meltingly tender, this is a rich meat sauce for pasta with serious depth. Something like a crustless quiche, a sformata makes for a lovely weekend lunch. A sweet and fruity way to change up roast chicken. A sheet of store-bought puff pastry is very easy to turn in a delicious, rustic tart. This can serve double duty: as a replacement for pancakes at breakfast or brunch, or as a tasty side dish at dinner. Cosy one-pan comfort food made with ordinary ingredients that comes together as something special. The great spice mix ras el hanout is the star ingredient in this North African–inspired dish. Essential weekend snacking, perfect with cold beers on a sunny afternoon. 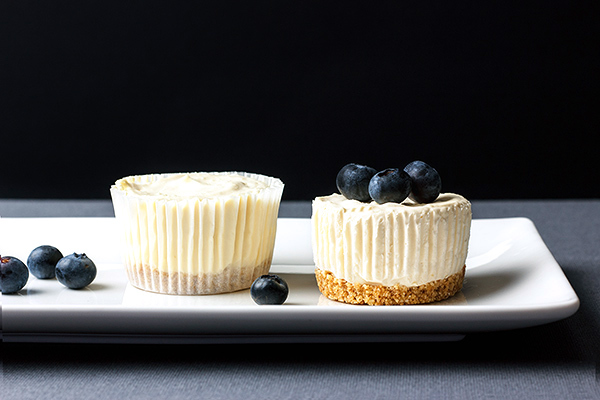 No-bake cheesecakes the size of cupcakes are the weekend indulgence we deserve.